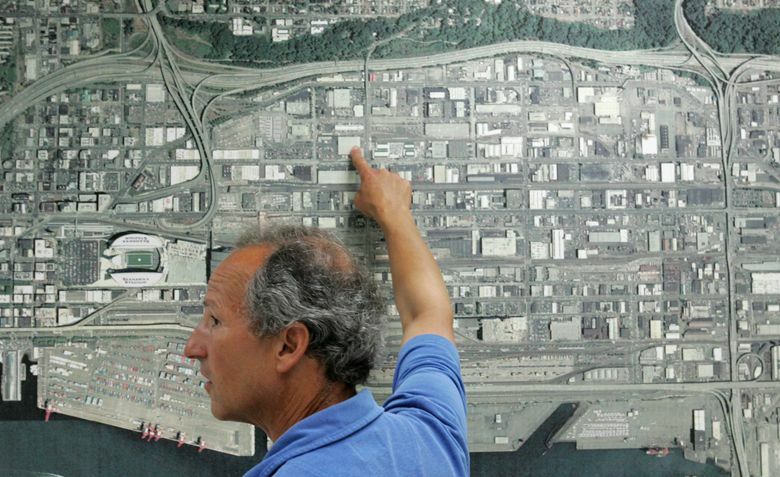 Henry Leibman, one of Seattle’s top developers and a pioneer in using the EB-5 visa program to raise capital, has been fined more than $1.2 million for using unlicensed advisers to steer investments from would-be immigrants into his projects. One of Seattle’s top developers has been fined more than $1.2 million for using unlicensed advisers to steer investments from would-be immigrants into his projects. American Life and its president, Henry Liebman, agreed to a settlement with the Securities and Exchange Commission, marking the latest legal problem for the EB-5 investment program that has channeled billions into the region’s construction boom. The complaint revolves around the federal EB-5 program, which allows foreigners to obtain green cards if they invest $500,000 to $1 million in job-creating projects. Seattle-based developer American Life, which boasts on its website that it has more than $1 billion in total investments, is one of the top recipients of EB-5 money in the nation. With help from such foreign investments over the last two decades, it has built or is working on more than two dozen office, retail, hotel and industrial buildings in the Sodo area, along with projects in downtown Seattle, Tacoma, Los Angeles and Atlanta. The SEC says in an administrative proceeding that American Life and Liebman paid unregistered broker-dealers — mostly immigration attorneys — to recommend their clients invest in American Life’s projects, and to help complete those transactions. The SEC said the illegal activity occurred from at least May 2011 to May 2014, though American Life says it voluntarily stopped paying the referral fees earlier. American Life has agreed to pay a $1 million fine to the U.S. Treasury while Liebman, a 64-year-old Seattle resident, will pay $240,000. As part of the settlement, they neither admitted nor denied wrongdoing. He noted that the SEC spent three years investigating the company and found no other wrongdoing, which he considered “a clean bill of health.” He said investors were made aware of the referral fees given their attorneys. In a statement, company President Greg Steinhauer said the firm “takes great pride” in knowing it’s helped bring about more than 2,200 foreign investments. “American Life continues to invest hundreds of millions of dollars in the local economy and create thousands of jobs,” the statement said. The SEC did not respond to requests for further comment. It’s only the latest problem to hit the world of EB-5 investment in the region. Last year, the SEC accused developer Lobsang Dargey of defrauding Chinese investors out of money for the proposed Potala Tower high-rise in Belltown. Dargey, who has denied any wrongdoing, agreed last month to relinquish control of the project but remains under criminal investigation, his lawyer recently said in court. In April, Bellevue immigration attorney Linda Yoo agreed to pay about $278,000 in fines in a case similar to American Life’s. The SEC said she acted as an unregistered broker in facilitating foreign investments, for which she was paid more than $200,000 in commissions over a five-year span. Like Yoo, American Life and Liebman have agreed to a cease-and-desist order from the SEC over further violations. It’s unclear if the cases were related. In the Yoo settlement, the companies benefiting from the foreign investments were not mentioned; and in the American Life case, the SEC did not say which attorneys steered money its way.